Responding to criticism in the Dáil, the minister said the controversial copyright measures will go ahead as planned. MINISTER SEÁN SHERLOCK has insisted that the wording of the controversial statutory instrument reinforcing online copyright laws will not be changed. Facing down criticism from opposition and independent TDs in a Dáil debate on the issue, Sherlock confirmed that the measure – dubbed ‘SOPA Ireland’ by opponents – would go ahead as planned. He said the Government was “not trying to impose something here” and that comparisons with the SOPA legislation in the US were “not based in fact”, adding that the SI was merely a measure to make sure Ireland is compliant with EU law. The instrument will make it possible for copyright holders to seek court injunctions against companies whose systems are hosting copyright-infringing material – for example ISPs and social media sites. Independent TDs Catherine Murphy and Stephen Donnelly raised concerns about the possible impact of the legislation on smaller online enterprises, saying it could expose them to potentially ruinous legal costs. But Sherlock said that if a site such as Boards.ie complies with procedures and takes down material in breach of copyright after it is notified, there is no risk of a paralysing injunction. He also addressed fears that the SI gives too much leeway to judges, saying that the courts are bound to protect the rights of all parties – and that even if large companies apply for injunctions it is no guarantee they will be granted. The Minister for Innovation also appealed to all parties in the debate – copyright holders from the music and other industries, as well as ISPs and web hosting firms – to come together and work out a mutual solution. 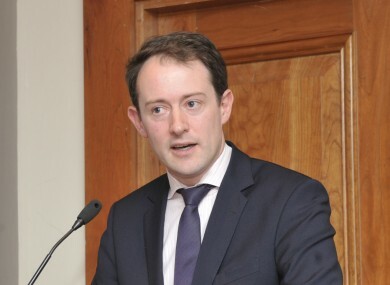 His party colleague Jerry Buttimer said small copyright holders online have to be protected – adding a distinction has to be drawn between truly creative internet users and “keyboard warriors” whose conduct was sometimes “bordering on anarchism”. Email “Wording of 'SOPA Ireland' legislation will NOT be changed - Sherlock”. Feedback on “Wording of 'SOPA Ireland' legislation will NOT be changed - Sherlock”.